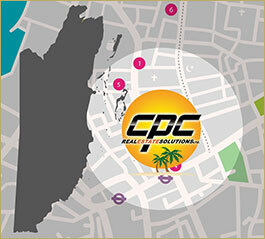 Experience a private beach on one of the largest ocean-front private home lots in the Plantation area of Placencia. 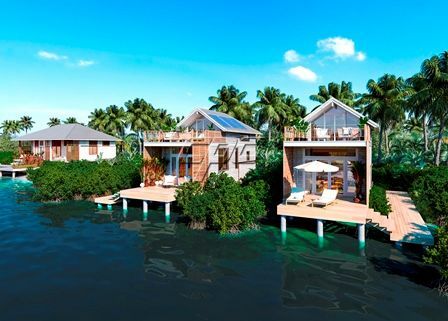 This one-of-a-kind property embodies the Belizean lifestyle. Two stories with ample deck space plus a rooftop patio with soaking tub offer everything you need for an indoor-outdoor beach oasis. 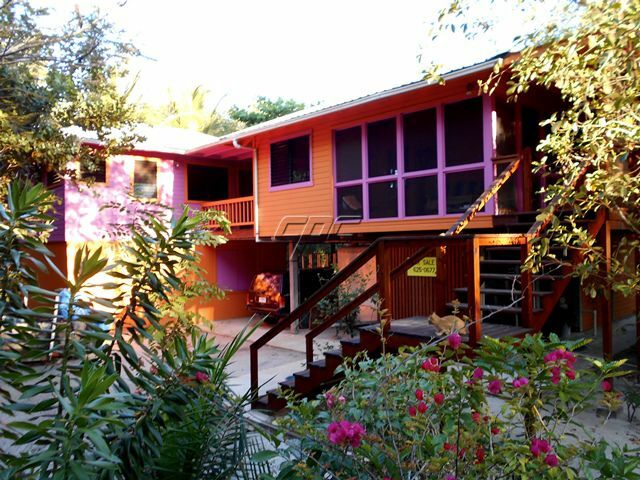 The home includes quality local furnishings, Belizean hardwood craftsmanship, and a bright and airy feel from the many windows. Enjoy the whole home at once or as two separate units with rental income. A ground floor laundry room with new, full size washer and dryer has enough storage space for multiple bikes, tools and supplies. The lower unit features an open living space with kitchenette, full bathroom, separate bedroom that comfortably accommodates two full beds, and walk-out deck. The upper unit features a cathedral ceiling over an open-concept living, kitchen with new refrigerator, dining area and enclosed flat screen TV. The master bedroom includes custom built-ins, an ensuite bathroom that is also accessible from the living area, spectacular tiled tub/shower and a king bed facing the Caribbean Sea. 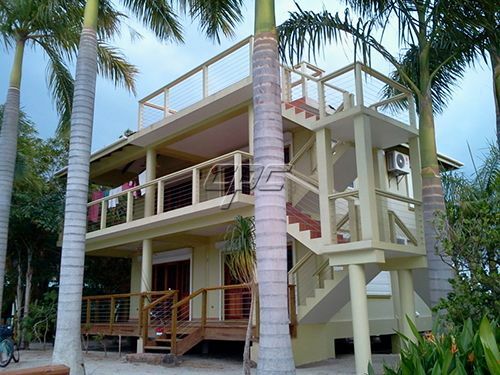 Sunrise House boasts 360-degree vistas of the beautiful Placencia Peninsula. Watch sunrise over the Caribbean Sea from bed. Listen to the waves from a hammock on the large second-story deck. See stunning views of sunset, the lagoon, and the Mayan mountains from your rooftop patio. Enjoy the lush and spacious property as-is or take advantage of enough room to expand with an addition, garage and pool (architect-created concept drawings available). Conveniently located near resort amenities at the Placencia Hotel and award-winning restaurants at Maya Beach, Singing Sands, and more. The charming village of Placencia is just a 15-minute ride away, with more jungle and ocean excursions easily accessible.